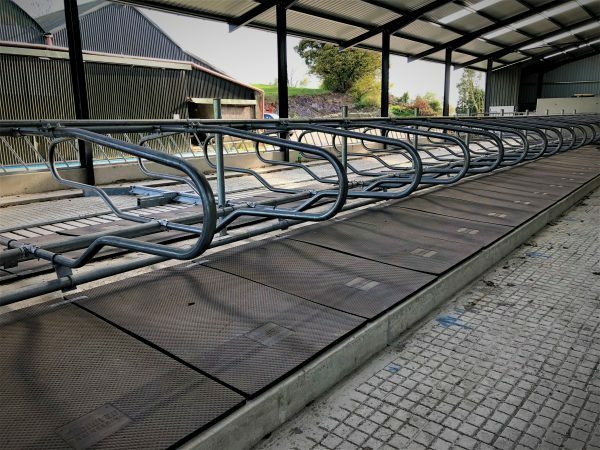 The Super Loop/ Cantilever Cow Cubicles are the most popular cubicles on the market. This type of cubicle design has been developed over the years. 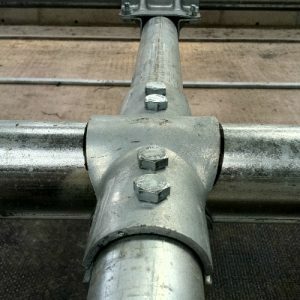 It is manufactured in heavy wall 60mm steel tube. 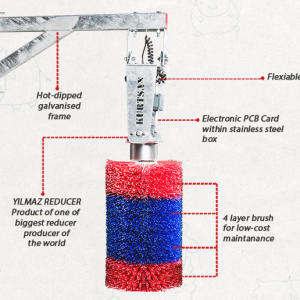 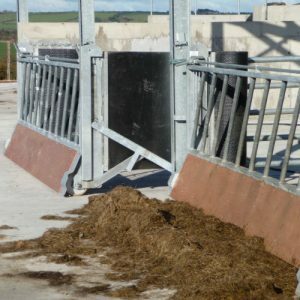 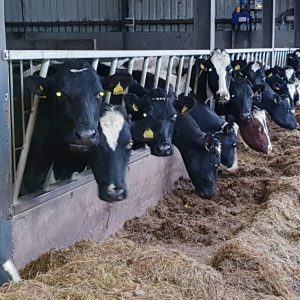 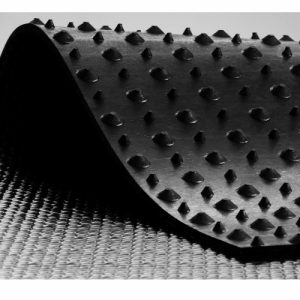 The design provides for superior comfort for all cow sizes while properly indexing the cow to lie squarely on the bed reducing soiling and accidental teat damage to a neighbouring cow. This will result in the cow lying for longer periods. 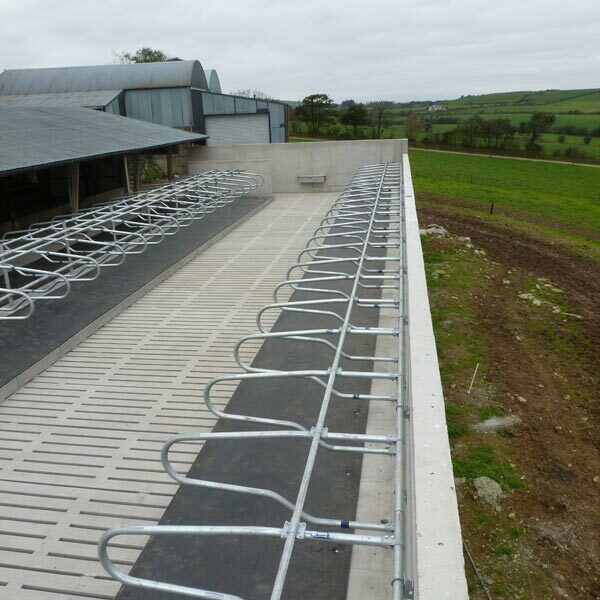 Increased lying times combined with improved cow comfort leads to higher milk production. 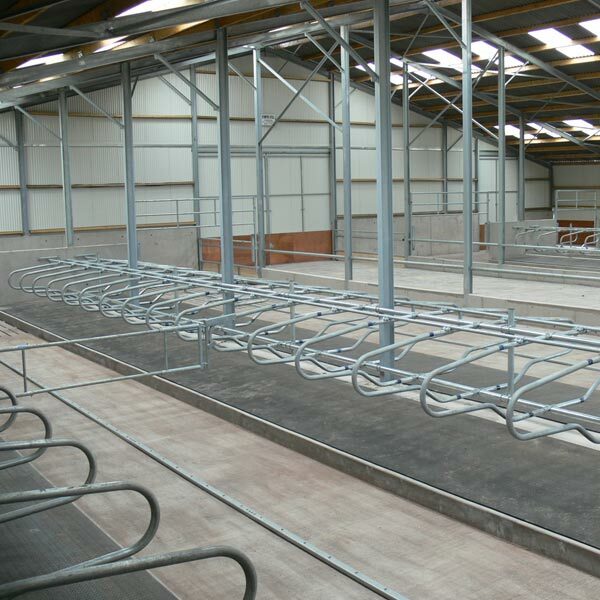 Our Super Loop Cubicles come with a wide range of cubicle fittings and accessories. 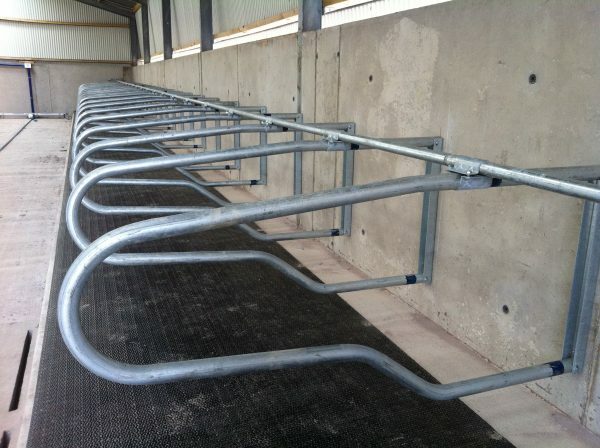 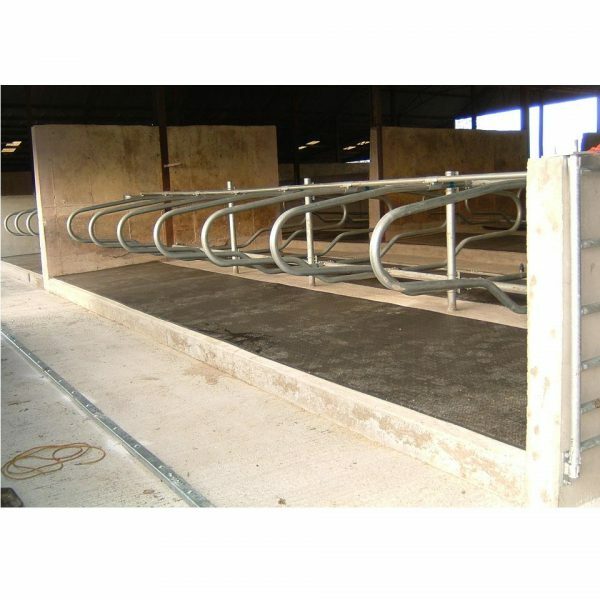 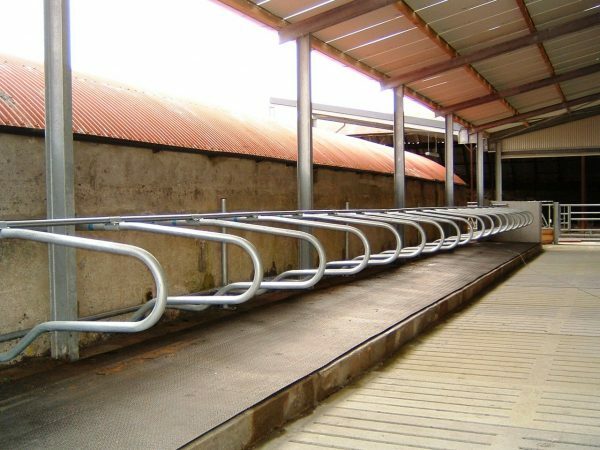 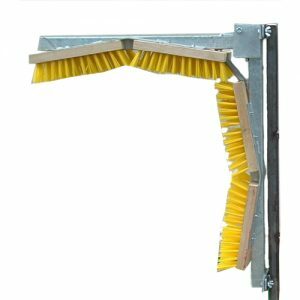 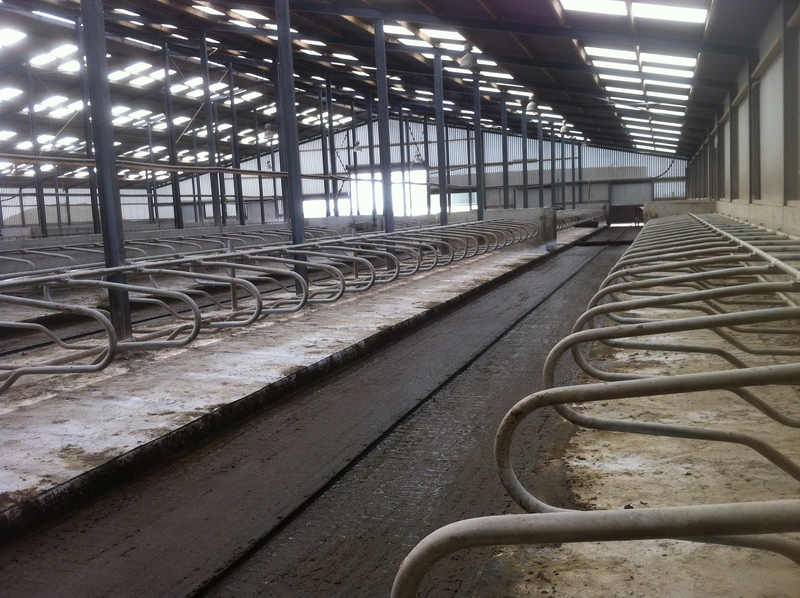 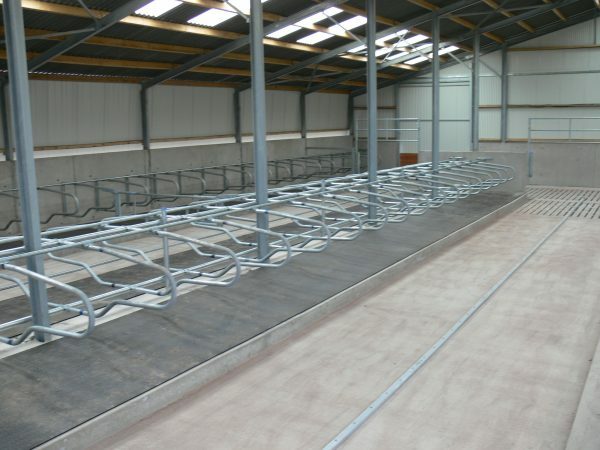 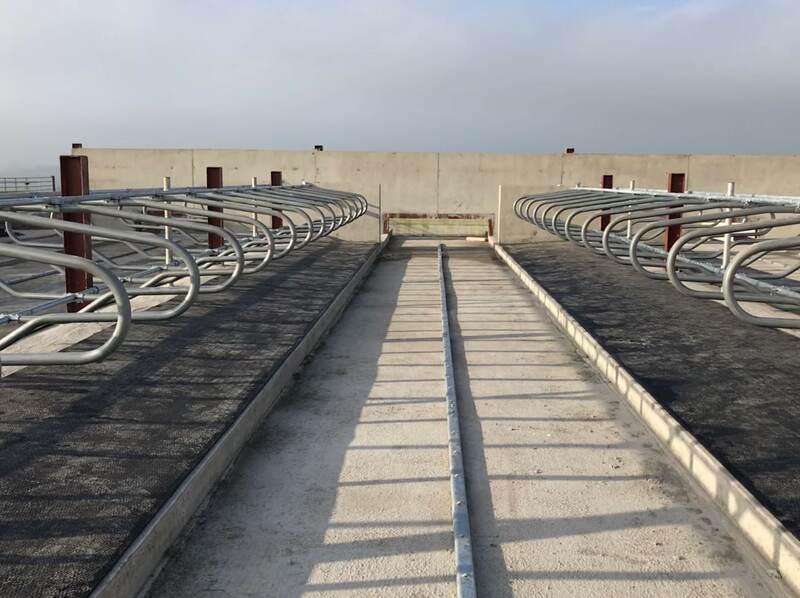 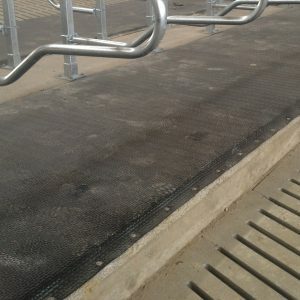 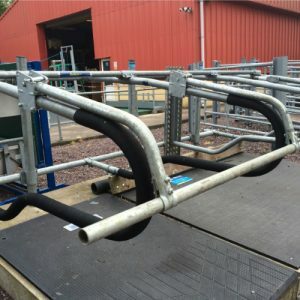 There is a wide variety of cubicle lengths available to suit any cow type and any length bed. The Super Loop/ Cantilever Cow Cubicles are the most popular cubicle on the market. 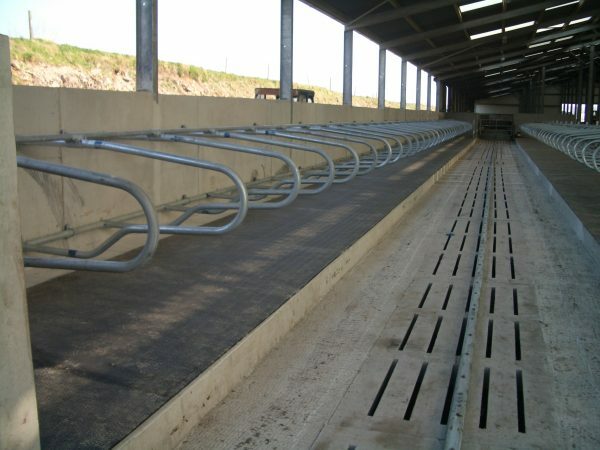 This type of cubicle design has been developed over the years. 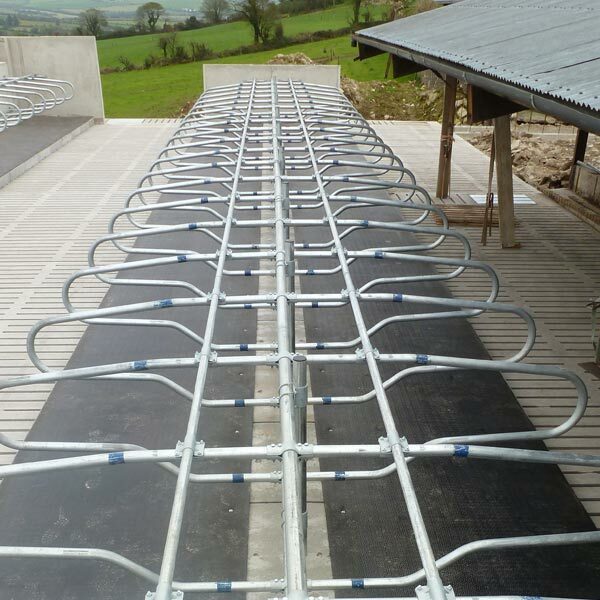 Manufactured in heavy wall 60mm steel tube. 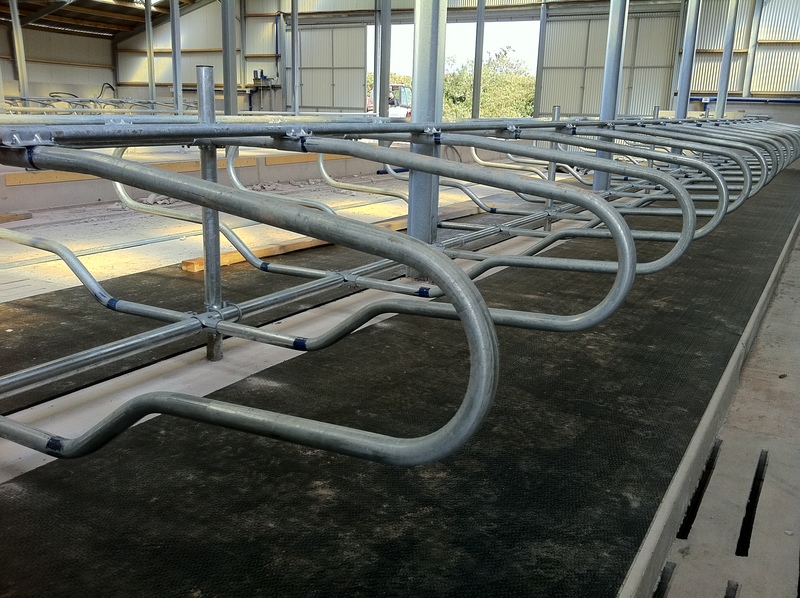 The design provides for superior comfort for all cow sizes while properly indexing the cow to lie squarely on the bed reducing soiling and accidental teat damage to a neighbouring cow. 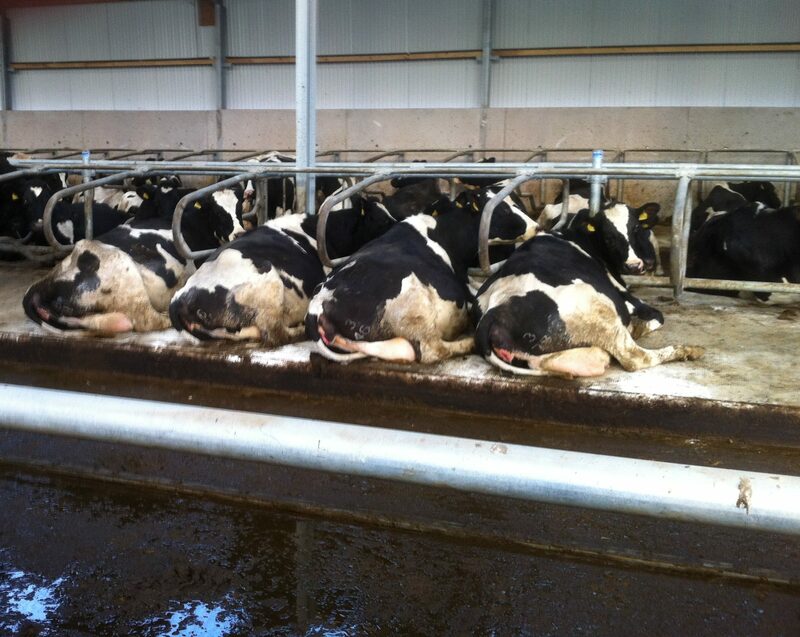 This will result in the cow lying for longer periods. 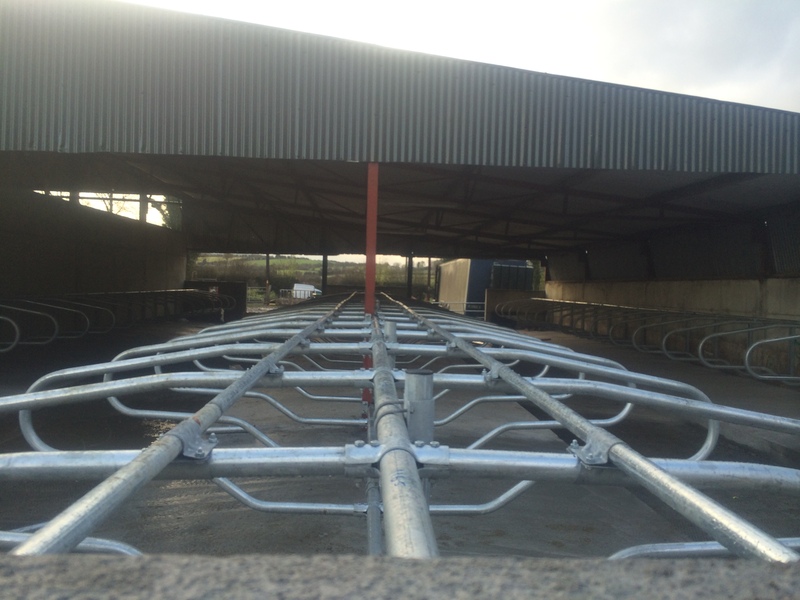 Increased lying times combined with improved cow comfort leads to higher milk production. Our Super Loop Cubicle comes with a wide range of cubicle fittings and accessories. 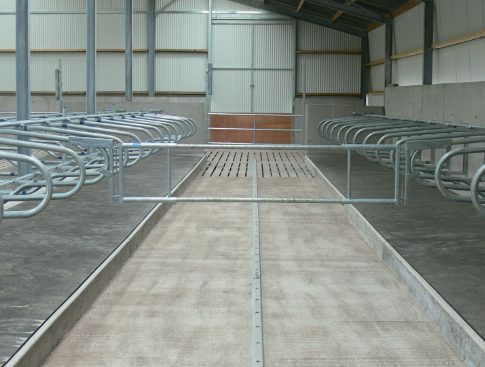 There is a wide variety of cubicle lengths available to suit any cow type and any length bed.